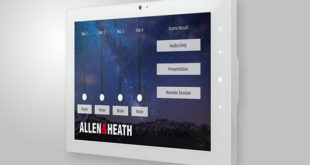 The digital console market is growing at a phenomenal pace, particularly at the cheaper end, with many manufacturers offering ‘budget’ solutions. It’s a race to see who can produce the best small-format, complete digital mixing solution with the highest spec at a competitive price. These consoles have made digital mixers more accessible to a wider market and provided engineers with a larger toolbox than what was previously possible on relatively small jobs. This raises a question, however: are we cutting corners and shouldn’t we be more concerned with sound quality than channel counts? The Si Impact from Soundcraft appears to have the spec and a very strategic price point, but what is the build and sound quality like? While the competition has embraced this substantial market, there’s certainly room for improvement, so will the Si Impact jump at the opportunity? From the moment you first use this desk you can tell the build quality is sturdy and durable, with a solid frame and rubber push buttons – much like those found on Soundcraft’s flagship Vi consoles. The faders are plastic and the touchscreen is small, but this doesn’t seem to matter as the overall impression is very professional. 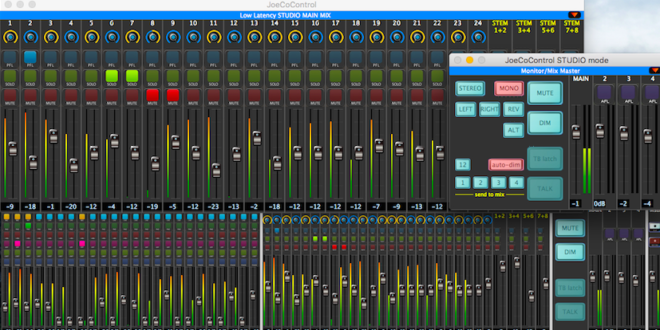 Adding to the look and feel of the console is Soundcraft’s FaderGlow technology, indicating at first glance via colour coding, different fader tasks. This looks great and allows for speedy use, which is quite a pleasant surprise on a console of this price. Well-lit controls and a digital scribble strip further enhance the sharp look that enables the console to be used easily in dark environments. The layout is much like many small-format digital desks with a single channel strip, operated via rotary encoders, on a channel-by-channel basis using select buttons. This has become standard practice for many engineers today and is also familiar from analogue console layouts. The Si Impact, however, has an in-depth channel strip, offering one encoder per parameter to avoid menu or page scrolling. The four-band parametric EQ, for example, has a complete set of encoders for each band rather than using three knobs and tabbing between bands. This makes it very tactile – much like an analogue desk, which is very quick to use. Unlike some other consoles at this end of the market, the fader layers are completely customisable. Each fader on every layer can be anything from an input channel, mix bus, VCA, Matrix, effect send, effect return etc. Additionally, if a fader is being used as an input channel, for example, the input patch can be from any source and have any direct output. This enables custom configurations to be created, allowing you to make the most of the 24 faders in each of the four layers. So, here are those all-important numbers. The Si Impact is a 40 DSP-input channel mixer, to 31 output busses. Importantly, though, there is a pool of possible inputs from each of the 32 onboard preamps or either of the two option cards. The Si Impact ships with a USB-MADI option card installed, offering connectivity with any of Soundcraft’s Stageboxes, or a 32 x 32 USB audio interface. 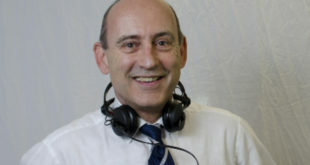 Although not all of these channels can be mixed simultaneously, it offers a huge range of connectivity configurations. All input channels and output busses support full dynamics and parametric EQ processing, with a 31-band graphic EQ on all outputs. This is a great deal more processing than Si Impact’s rivals. Other connectivity options include one AES and Word Clock output, and a HiQnet port. The HiQnet data port supports Soundweb devices or connection to a standard network router for wireless control. Wireless control of digital desks has become important within today’s workflow, and the Si Impact falls straight in line. They use the same iPad ViSi app that all Soundcraft consoles support, which has become better and better over the years. 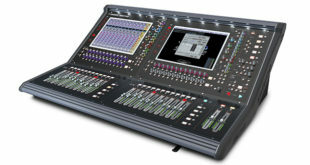 The console’s touchscreen is compact, much like the other Soundcraft consoles, and is where you find all the settings. The software isn’t the most graphically enhanced or the most efficient I’ve seen, but it functions well. A combination of touch with a couple of push buttons for another rotary encoder allows for reasonably quick operation. What’s good about this software is the range of configuration opportunities, but the user interface feels slightly dated in this smartphone era. It’s clear to see where Soundcraft has chosen to save the costs needed to deliver this desk at a competitive rate. However, we must be encouraged by the fact that the manufacturer has focused on the console’s layout, processing power and sound quality rather than some pretty software. It functions well but don’t expect an iPhone-style menu system. Most of the audio processing inside the Si Impact is courtesy of some acknowledged industry favourites. Soundcraft and Studer, who themselves have a 40-year pedigree, developed the parametric EQs for this desk, along with many fundamental features required in a console of this capability. Additionally, processing from the likes of Lexicon, BSS and dbx are also built in. The internal effects processing is actually via dedicated hardware inside the unit from Lexicon themselves, rather than algorithms executed by the console’s DSP processors. There are four stereo internal effects engines from Lexicon, offering a wealth of choices based on the MX400 effects processor. These effects engines have dedicated send and return busses, with independent tap-tempo and send-on-fader buttons from the console’s surface. This allows for fast and easy use during a show, but I had to make an effort to understand the tap-tempo operation. Unlike standard two-tap tempo buttons, these take an average over all the taps you make. Therefore, if you tap four times, it will calculate the average time between them, rather than just the time between the last two. This is in an attempt to make it more accurate for studio use, as well as live. You need to remember to wait five or six seconds before you change the tempo, otherwise it will use the previous taps in the calculation. I like this concept and it does give a more accurate result, but if you change your mind from crotchets to quavers for example, it can be a little frustrating when working live. The graphic EQs are DSP versions of the BSS FCS-966 analogue graphics. They are easy to operate with flip to fader control and I particularly like the indented zero centre point that the faders feedback to you. What is really impressive, and is certainly one of the selling points, is having one of these graphics on all available outputs. The dynamics are based on dbx algorithms, with gates and compressors on all inputs and compressors on all outputs. The more I use this console, the more I really appreciate what it has to offer and I now don’t want to give it back. Originally, the small touchscreen with its slightly unsophisticated software and the slightly dim metering view built into the scribble strip distracted me. However, in essence there’s nothing wrong with these features – the desk still does everything we have now come to expect from digital mixers. Due to the comprehensive channel strip, Soundcraft’s colour-coding system and ‘tOTEM’ (The One Touch Easy Mixing) system, the Si Impact feels very tactile to use. In fact, because you haven’t got your eyes glued to a screen, which is a bugbear of mine, it keeps your focus on the stage. In order for Soundcraft to market this console at a competitive price, I’m glad that they went down this route and didn’t cut corners on fundamental processing and sound quality. I found the audio quality from all aspects of this console to be excellent. The USB interface is a must-have feature today, which sounds great too. I also recognise that the ability to route anything to and from the USB card is powerful and flexible. While the USB interface worked well without needing to install any drivers on my Mac, I would have liked the offline editor to work on the Macintosh platform rather than having to use parallels. I think this would be a great feature to look out for, with a proper remote application for Mac desktops, as most people in this industry are now Mac-based. The implementation of tried and tested industry processing from Lexicon, BSS and dbx is a huge positive. We’re not quite at the stage of running plugin-style mixing at this end of the market, but this is a great solution with intelligent choices. The Lexicon processors sound great, and I believe better than built-in effects on some other competitive consoles. Fundamentally, the Si Impact is very fast and easy to use during a show. I even found myself changing routing and fader arrangements on the fly during a show. The lack of visual information from the touchscreen soon passes you by and, in a way, helps you to concentrate on the sound and the action happening on the stage. The FaderGlow technology not only looks good, but really helps keep navigation around the console fast and intuitive, which has worked well for Soundcraft since the Vi consoles were developed. Soundcraft has been producing consoles for 40 years and has been making digital desks for a while now. This pedigree, experience and knowledge can be clearly found and heard in the Si Impact. It feels like an analogue desk but with the enhancements and ease of use that digital desks offer us today. Complete with modern expectations such as the USB audio interface and plenty of processing, the Si Impact is sure to have a strong market share. The focus is on build and audio quality at a very respectable price and I would be really happy to use one again. If you are in the market for an affordable mixing solution, then this console should be high on your list. Simon Allen is a freelance internationally recognised sound engineer and pro audio professional with over a decade of experience. Working mostly in music, his reputation as a mix and FOH engineer continues to reach new heights.